Many of these locations offer great views of the city or Tempe Town Lake, modern spacious living areas and great in-building facilities such as gyms, spa facilities and pools. Urban Realty is experienced with both Scottsdale and Phoenix condominiums. Even though you are outside of Tempe we can still help you to enjoy the benefits of loft and condo living. Although these cities have not quite made the commitment to supporting the 24/7 lifestyle that Tempe has made, there are still wonderful opportunities for urban living in these areas. 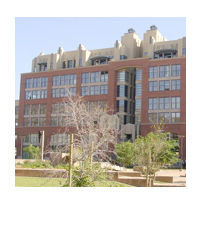 Phoenix condominiums are well within our area of experience and we can help. We are ready to find the perfect base for your new urban experience. No matter which city you call home, Urban Realty is able to assist you in finding the exciting new property you desire. Even if you are not ready to purchase but only wish to rent right now, Urban Realty is still able to offer you our experience and resources to help you find the perfect property for your needs.